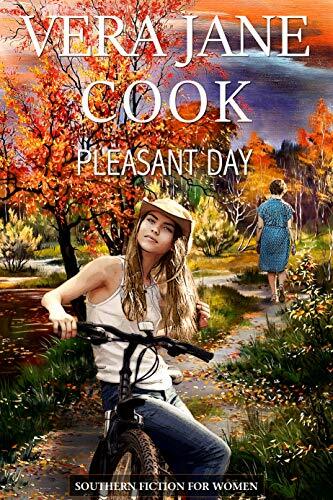 What can you tell us about your new release, Pleasant Day? I can tell you that the book got started from an article I read online. The article was about a body being discovered in a box spring. There was hardly a pause before I started the first chapter of Pleasant Day and then it just took off. The characters seemed to be right there in my head just waiting to be written. I thought it was bizarre about the body in the box spring so I knew my novel had to be somewhat bizarre but based on the horrible truth, one of the problem we have with kids today – bullying. I was inspired to become an author by the books I was reading at a pretty young age. They were books like A Stone for Danny Fisher, Atlas Shrugged, 79 Park Avenue, The Brother’s Karamazov, The Red and the Black, to name a few. And of course there were those books I was assigned to read in school like A Tale of Two Cities, The Picture of Dorian Grey, Jane Eyre, War and Peace, Wuthering Heights, to name but a few. I loved to read and I loved the way authors weaved a whole new world for me, characters that I loved and situations that kept me involved for hours. Other authors have always been my inspiration. I’d say that right at this moment the best 5 books I’ve ever read are The Invention of Wings by Sue Monk Kidd, The Story of Edgar Sawtelle by David Wroblewski, A Piece of the World by Christina Baker Kline, A Thousand Splendid Suns by Khaled Hosseini, The Secret Life of Bees by Sue Monk Kidd. I would interview Charlotte and Emily Bronte. I’d want to know what it was like being alive during that time in History and living in the Moors in England. Where did their ideas come from? What inspired their imagination? Where did the idea come from for their books and were their characters based on people they knew? Was it hard to be alive then in terms of being a woman or did their isolation protect them from that? Were they surprised when their books were published? My favorite thing about writing is finishing a novel. I love to work with words because I think the English language is beautiful and I love developing characters and putting them in situations and writing the most descriptive sentences I can. A typical day writing for me is getting to it as early as possible. My energy is high in the mornings, as well as my imagination and concentration. I write and I rewrite, often going over the whole book several times, editing and re-editing. What scene in Pleasant Day was your favorite to write? My favorite scene in Pleasant Day to write was the very last scene with Angus on Piper Hill after she has visited Millie’s grave. I know this is the last scene in the book and all the characters were a joy to write but this last one is real insight into Pleasant, both her past and her present,as well as her future.